Stack Overflow is a community of 4.7 million programmers, just like you, helping each other. I've noticed that whenever I generate a database schema from an EF model that includes decimal fields the SQL type used is decimal(18,0) - this causes all decimal values to be effectively truncated to integers on persistence to the database. Is there a configuration option or setting that can be applied to control the default precision of all SQL decimal types that are generated? This does allow you to set the scale and precision for each individual field, but is there a way to set a more useful default for all decimals? If you want to change default value you can modify T4 template responsible for generating SQL. This chapter describes how to create ADF view objects to create SQL queries that join, filter, sort, and aggregate data for use in an Oracle Application Development Framework (Oracle ADF) application. A view object is an Oracle Application Development Framework (Oracle ADF) component that encapsulates a SQL query and simplifies working with its results. An entity-based view object can be configured to support updatable rows when you create view objects that map their attributes to the attributes of one or more existing entity objects. There remain a few situations where it is still preferable to create a non-entity-mapped view object to read data, including SQL-based validation, Unions, and Group By queries. You define a view object by providing a SQL query (either defined explicitly or declaratively). You use view object instances in the context of an application module that provides the database transaction for their queries. At runtime, the view object executes your query and produces a set of rows (represented by a RowSet object). You can filter the row set a view object produces by applying a set of Query-by-Example criteria rows. When a view object has one or more underlying entity usages, you can create new rows, and modify or remove queried rows. Changes in cache (updates, inserts, deletes) managed by entities survive the view object's execution boundary. Changes made to relevant entity object attributes through other view objects in the same transaction are immediately reflected. Attribute values of new rows are initialized to the values from the underlying entity object attributes. This chapter explains how instances of entity-based view objects contained in the data model of your application module enable clients to search for, update, insert, and delete business domain layer information in a way that combines the full data shaping power of SQL with the clean, object-oriented encapsulation of reusable domain business objects. You define an updatable view object by referencing attributes from one or more entity objects. You can use multiple, associated entity objects to simplify working with reference information. You use your entity-based view objects in the context of an application module that provides the transaction. At runtime, the view row delegates the storage and validation of its attributes to underlying entity objects. When view objects use a SQL query, query columns map to view object attributes in the view object. If the query associated with the view object contains values that may change from execution to execution, use bind variables. Using the same Create View Object wizard, you can create view objects that either map to the attributes of existing entity objects or not. While there is a small amount of runtime overhead associated with the coordination between view object rows and entity object rows, weigh this against the ability to keep the view object definition entirely declarative and maintain a customizable view object. 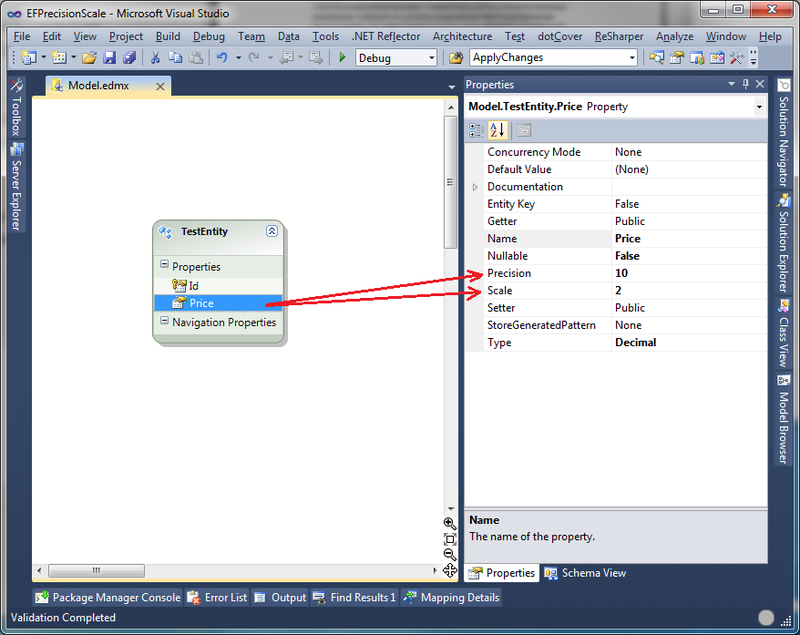 In the Application Navigator, right-click the entity object and choose New Default View Object. This context menu option lets you create a view object based on a single entity object that you select. Provide a package and component name for the new view object in the Create Default View Object dialog. In the Create Default View Object dialog you can click Browse to select the package name from the list of existing packages. The new entity-based view object created will be identical to one you could have created with the Create View Object wizard. To create an entity-based view object, use the Create View Object wizard, which is available from the New Gallery. In the Application Navigator, right-click the project in which you want to create the view object and choose New. In the New Gallery, expand Business Tier, select ADF Business Components and then View Object, and click OK. If this is the first component you're creating in the project, the Initialize Business Components Project dialog appears to allow you to select a database connection. In the Initialize Business Components Project dialog, select the database connection or choose New to create a connection. In the Create View Object wizard, on the Name page, enter a package name and a view object name. On the Entity Objects page, select an entity object whose data you want to use in the view object. An entry in this list is known as an entity usage, since it records the entity objects that the view object will be using. For example, Figure 5-4 shows the result after shuttling the PersonEO entity object into the Selected list. On the Attributes page, select the attributes you want to include from each entity usage in the Available list and shuttle them to the Selected list. On the Attribute Settings page, optionally, use the Select Attribute dropdown list to switch between the view object attributes in order to change their names or any of their initial settings. On the Query page, optionally, add a WHERE and ORDER BY clause to the query to filter and order the data as required. For example, Figure 5-6 shows the ORDER BY clause is specified to order the data by first name, last name, and email. When you create a view object, JDeveloper creates the XML document file that represents the view object's declarative settings and saves it in the directory that corresponds to the name of its package. To view the view object settings, select the desired view object in the Application Navigator and open the Structure window. When you need full control over the SQL statement, the Create View Object wizard lets you specify that you want a view object to be read-only. Unlike entity-based view objects, read-only view objects that you create in expert mode, will not define a key attribute by default. To create a read-only view object, use the Create View Object wizard, which is available from the New Gallery. Click Query Builder to open the SQL Statement dialog and use the interactive query builder. If the Entity Objects page displays instead of the Query page, go back to Step 1 of the wizard and ensure that you've selected Read-only Access. On the Attribute Settings page, from the Select Attribute dropdown, select the attribute that corresponds to the primary key of the queried table and then enable the Key Attribute checkbox. The Create View Object wizard auto-detects key attributes from the database and enables the Key Attribute checkbox, as shown in Figure 5-9. In the ADF Business Components wizards and editors, the default convention is to use camel-capped attribute names, beginning with a capital letter and using uppercase letters in the middle of the name to improve readability when the name comprises multiple words. By default, the wizard creates Java-friendly view object attribute names that correspond to the SELECT list column names, as shown in Figure 5-10. You can rename the view object attributes to any names that might be more appropriate without changing the underlying query. JDeveloper then creates the XML document file that represents the view object's declarative settings and saves it in the directory that corresponds to the name of its package. After you've created a view object, you can edit any of its settings in the overview editor for the view object. How you configure the view object to fetch data plays a large role in the runtime performance of the view object. Select a navigation tab to open any editor page where you can adjust the SQL query, change the attribute names, add named bind variables, add UI controls hints, control Java generation options, and edit other settings. One interesting aspect of entity-based view objects is that each attribute that relates to an underlying entity object attribute inherits that attribute's properties. Other properties like Queryable and Updatable are inherited but can be overridden as long as their overridden settings are more restrictive than the inherited settings. When you display a particular attribute of the view object in the Edit Attribute dialog, you can see and change the values of the declarative settings that control its runtime behavior. JDeveloper tries to infer the type of the column automatically, but for some SQL expressions the inferred value might default to VARCHAR2(255). For example, VARCHAR2(30) which shows as the Type for the FirstName attribute in Figure 5-12 means that it has a maximum length of 30 characters. Your SQL expression can control how long the describe from the database says the column is. When you use the Create View Object wizard to create a read-only view object, by default the attributes of the view object will not be updateable. In the Entity Objects page, expand the Available list and double-click the entity object that describes the attributes of the read-only view object. The entity object that you double-click will appear in the Selected list as an entity usage. In the Attribute Mappings page, perform the following steps to convert all SQL-derived attributes to their corresponding entity usage mapped attribute. Click an attribute field in the View Attributes column and scroll to the top of the dropdown list to locate the entity usage attributes. In the entity usage attribute list, select the attribute corresponding to the read-only attribute that you want to remap, as shown in Figure 5-11. When you edit view objects in the overview editor, you can customize the Attributes page of the overview editor to make better use of the attributes table displayed for the view object. Customization choices that you make for the attributes table include the list of attribute properties to display as columns in the attributes table, the order that the columns appear (from left to right) in the attributes table, the sorting order of the columns, and the width of the columns. For example, you can add the Updatable property as a column to display in the attributes table when you want to quickly determine which attributes of your view object are updatable. When you have set up the attributes table with the list of columns that you find most useful, you can apply the same set of columns to the attributes table displayed for other view objects by right-clicking the attributes table and choose Apply to All View Objects. In the Attributes page, click the dropdown menu to the right of the attribute column headers (just below the attributes table's button bar) and choose Select Columns. Click one of the Move Selection buttons to change the position of the columns in the attributes table of the overview editor. Select any column header and drag to change the position of the column in the attributes table of the overview editor. Click any column header to sort all columns in the attributes table by the selected column. Click any column header border and drag to adjust the width of the attributes table's column. Click the dropdown icon to the right of the column headers and select among the list of displayed columns to change the visibility of a column in the current attributes table display. This feature lets you easily hide columns when you want to simplify the attributes table display in the current view object overview editor. To extend the changes in the columns (including column list, column order, column sorting, and column width) to all other view object overview editors, click the dropdown menu to the right of the column headers and choose Apply to All View Objects. After you create a view object definition, you may decide to change the order of the attributes queried by the view object. In the Set Source Order dialog, select the attribute you want to reposition and click one of the Move Selection buttons. This feature has no affect on other view objects that you may edit; it only affects the current view object. JDeveloper's UML diagramming lets you create a Business Components diagram to visualize your business domain layer. ADF Business Components lets you create view objects in your data model project with rows that you populate at design time. When you need to create a view object to access a small list of static data, you should use the static view object rather than query the database. Static list view objects are useful as an LOV data source when it is not desirable to query the database to supply the list of values. Because the data in a static view object does not originate in database tables, the view object will be read-only. You can also use the Create View Object wizard to create the attributes based on data from a comma-separated value (CSV) file format like a spreadsheet file. In the Application Navigator, right-click the project in which you want to create the static list view object and choose New. On the Attributes page, click New to add an attribute that corresponds to the columns in the static data table. On the Static List page, click the Add icon to enter the data directly into the wizard page. Using the Import feature of the Create View Object wizard, you can create a static data view object with attributes based on data from a comma-separated value (CSV) file format like a spreadsheet file. On the Attributes page, optionally, click New to add an attribute that corresponds to the columns in the static data table. When the static data will be loaded from a CSV flat file, you can optionally skip this step. On the Static List page, click Import to locate the CSV file and display the data in the wizard. When you create a static view object, the overview editor for the view object displays the rows of data that you defined in the wizard. The generated XML definition for the static view object contains one transient attribute for each column of data. Because the data is static, the overview editor displays no Query page and the generated XML definition for the static view object contains no query statement. When you need to make changes to the static list table, double-click the view object in the Application Navigator to open the overview editor for the view object. Applications that need to query data over a specific date range can generate date-effective row sets. Whether or not the query filter for an effective date will be generated depends on the value of the Effective Dated property displayed in the Property Inspector for the view object (to view the property, select any tab in the overview editor for the view object other than Attributes). Because the date-effective view object must be based on an date-effective entity object, setting a view object's Effective Dated property to True without an underlying date-effective entity object, will result in a runtime exception. The overview editor for the view object does not display the date-effective query clause in the WHERE clause. At runtime, the bind value for the query can be obtained from a property of the root application module or can be assigned directly to the view object. The view object has its own transient attribute, SysEffectiveDate, that you can use to set the effective date for view rows. The view object you create should be based on the effective dated entity object you created. In the Application Navigator, double-click the view object you created based on the effective dated entity object. If the Name category is not displayed in the Property Inspector, click the General navigation tab in the overview editor to set the proper focus. In the overview editor, click the Attributes navigation tab and double-click the attribute for the start date. In the Edit Attribute dialog, verify that Effective Date is enabled and that Start is selected, as shown in Figure 5-17. No additional steps are required once you have confirmed that the view object has inherited the desired attributes from the date-effective entity object. Creating (inserting) date-effective rows is similar to creating or inserting ordinary view rows. In either case, during entity validation, the new row is checked to ensure that it does not introduce any gaps or overlaps. Date-effective rows are updated just as non date-effective rows are updated, using a Row.setAttribute() call. The effective end date of the row is set to the effective end date of the next row with the same noneffective date key values. When you create a date-effective view object, the view object inherits the transient attribute SysEffectiveDate from the entity object to store the effective date for the row. The query displayed in the overview editor for the date-effective view object does not display the WHERE clause needed to filter the effective date range. Example 5-3 shows sample XML entries that are generated when you create an date-effective view object. Effective dated associations and view links allow queries to be generated that take the effective date into account. While it is possible to create a noneffective dated association between two entities when using the Create Association wizard or Create View Link wizard, JDeveloper will by default make the association or link effective dated if one of the ends is effective dated. Many queries you will work with will involve multiple tables that are related by foreign keys. When you work with entity-based view objects, the Create View Object wizard uses an existing association defined between the entities to automatically build the view object's join WHERE clause. When you work with read-only view objects, you can use the SQL Builder dialog to build the view object's join WHERE clause. Figure 5-18 illustrates the rows resulting from two tables queried by a view object that defines a join query. It is extremely common in business applications to supplement information from a primary business domain object with secondary reference information to help the end user understand what foreign key attributes represent. From experience, you know that showing an end user exclusively these "raw" numerical values won't be very helpful. When the end user can change the foreign key values by editing the data, this presents an additional challenge. Select when you want the view object to return all rows between two or more entity objects, where each entity defines the same primary key column. Select when you want the view object to return all rows that exist in one entity object, even though corresponding rows do not exist in the joined entity object. Select when you want the data from the entity object to be treated as reference information for the view object. Deselect when you want to prevent the view object from modifying any entity attributes in the entity object. Select when you have defined the entity as updatable and you want the action of removing rows in the UI to delete the participating reference entity object. When you want to modify an existing view object that you created to include reference information from its related entity objects, double-click the view object and open the Entity Objects page in the overview editor for the view object. In the Entity Objects page, the first entity usage in the Selected list is known as the primary entity usage for the view object. To add additional, secondary entity objects to the view object, select them in the Available list and shuttle them to the Selected list. The Association dropdown list shows you the name of the association that relates the selected secondary entity usage to the primary one. Optionally, use the Alias field to give a more meaningful name to the entity usage when the default name is not clear. If you add multiple entity usages for the same entity, use the Association dropdown list to select which association represents that usage's relationship to the primary entity usage. For each secondary entity usage, the Reference option is enabled to indicate that the entity provides reference information and that it is not the primary entity. Secondary entity usages that are updatable can also have the Participate in row delete option enabled. On the Attributes page, select the attributes you want each entity object usage to contribute to the view object. Not the answer you're looking for?Browse other questions tagged sql tsql entity-framework decimal precision or ask your own question. Why does this SQL Server 2005 decimal division give results with different number of decimals? Why is Entity Framework passing a parameter as DECIMAL(5,0) for a column defined with NUMERIC(19)? Contact usIf your interested in having a website designed, contact us today and we will be sure to design the best website to advertise your Business! This chapter describes how to create view objects that join, filter, sort, and aggregate data for use in the application. This chapter explains how instances of entity-based view objects contained in the data model of your application module enable clients to search for, update, insert, and delete business services layer information in a way that combines the full data shaping power of SQL with the clean, object-oriented encapsulation of reusable domain business objects. You may find it helpful to understand other ADF features before you start working with view objects. For example, Figure 5-3 shows the result after shuttling the PersonEO entity object into the Selected list. For example, Figure 5-5 shows the ORDER BY clause is specified to order the data by first name, last name, and email. When you create a view object, JDeveloper creates the XML component definition file that represents the view object's declarative settings and saves it in the directory that corresponds to the name of its package. To view the view object settings, expand the desired view object in the Application Navigator, select the XML file under the expanded view object, and open the Structure window. Because the read-only view object is not based on an entity object, the Create View Object wizard does not define a key attribute by default. JDeveloper then creates the XML component definition file that represents the view object's declarative settings and saves it in the directory that corresponds to the name of its package. Click a navigation tab to open an editor page where you can adjust the SQL query, change the attribute names, add named bind variables, add UI controls hints, control Java generation options, and edit other settings. When you display a particular attribute of the view object in the overview editor, you can see and change the values of the declarative settings that control its runtime behavior. Click the dropdown list to the right of the column headers and select among the list of displayed columns to change the visibility of a column in the current attributes table display. In the Set Source Order dialog, select the attribute you want to reposition and click one of the Move Selection button. JDeveloper's UML diagramming lets you create a Business Components diagram to visualize your business services layer. Whether or not the query filter for an effective date will be generated depends on the value of the Effective Dated property displayed in the Property Inspector for the view object (to view the property, click the General tab in the overview editor for the view object and expand the Name category in the Property Inspector). At runtime, the bind value for the query is obtained from a property of the root application module. In the Name category, verify that the context menu for the Effective Dated property displays True. In the overview editor, click the Attributes navigation tab and select the attribute for the start date, and then click the Details tab and verify that Effective Date is enabled and that Start is selected, as shown in Figure 5-17. Verify that the attribute for the end date is also enabled correctly, as shown in the figure. When you create an date-effective view object, the view object inherits the transient attribute SysEffectiveDate from the entity object to store the effective date for the row. When you work with read-only view objects, you will use the SQL Builder dialog to build the view object's join WHERE clause. On the Attribute Settings page, you can rename an attribute when the names are not as clear as they ought to be. The same attribute name often results when the reference and secondary entity objects derive from the same table. 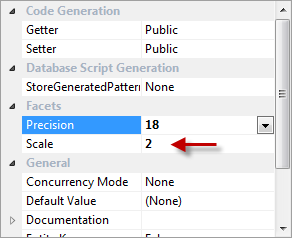 I am trying to understand why Entity Framework 4 is rounding to two decimals when in both the EF schema model and in the database, the precision is set to 4. In Transact-SQL statements, a constant with a decimal point is automatically converted into a numeric data value, using the minimum precision and scale necessary. It's not explicitly stated that this is the cause of your problem but I'd take a good guess that it is. Not the answer you're looking for?Browse other questions tagged c# entity-framework-4 sql-server-2008-r2 or ask your own question. How do I correctly set an association between two objects in the Entity Framework 4 Entitydesigner? Can address details be "googled" from the whois information, without knowing the domain name? It describes how view objects map their SQL-derived attributes to database table columns and static data source, such as flat files. They do not pick up entity-derived default values, they do not reflect pending changes, and they do not reflect updated reference information. The entity-based view object coordinates with underlying entity objects to enforce business rules and to permanently save the changes to the database. In the majority of cases, the data source will be a database and the mechanism to retrieve data is the SQL query. The definition of these attributes, saved in the view object's XML definition file, reflect the properties of these columns, including data types and precision and scale specifications. Using bind variables in the query allows the query to reexecute without needing to reparse the query on the database. Only entity-based view objects automatically coordinate with mapped entity objects to enforce business rules and to permanently save data model changes. Queries that cannot be expressed in entity objects, and that therefore require expert-mode query editing, include Unions and Group By queries. It is even easier than creating an expert-mode, read-only view object, since you don't have to type in the SQL statement yourself. In fact, it is possible that the development team responsible for the core business domain layer of entity objects might be completely separate from another team responsible for the specific application modules and view objects needed to support the end-user environment. However, for this frequent operation, there is an even quicker way to perform the same task in the Application Navigator. If you need to add additional entity objects to the view object definition, you can use the Entity Objects page of the view object overview editor after you create the view object. By default, it will have a single entity usage referencing the entity object you selected in the Application Navigator, and will include all of its attributes. Keep the default setting Updatable access through entity objects enabled to indicate that you want this view object to manage data with its base entity object. Each entry could also be thought of as an entity reference, since the view object references attributes from that entity. JDeveloper automatically generates the SELECT statement based on the entity attributes you've selected. The Structure window displays the list of XML definitions, including the SQL query, the name of the entity usage, and the properties of each attribute. The dotted lines represent the metadata captured in the entity-based view object's XML document that map SELECT list columns in the query to attributes of the entity objects used in the view object. In this case, you will not benefit from the declarative capabilities to define a non-updatable entity-based view object. While it is possible to create a read-only view object without defining its key attribute, in expert mode it is a best practice to select the attribute that corresponds to the queried table's primary key and mark it as the key attribute. Select Read-only access through SQL query to indicate that you want this view object to manage data with read-only access. Failure to define the key attribute can result in unexpected runtime behavior for ADF Faces components with a data control based on the view object collection. While the view object attribute names correspond to the underlying query columns in the SELECT list, the attribute names at the view object level need not match necessarily. The Structure window displays the list of XML definitions, including the SQL query and the list of attributes. For example, the attribute from underlying entity object might have an Updatable setting of Always. You can update the Type value for this type of attribute to reflect the correct length if you know it. For a NUMBER column, you would indicate a Type of NUMBER(7,2) for an attribute that you want to have a precision of 7 digits and a scale of 2 digits after the decimal. Later you may decide to convert the view object to one that permits updates to its SQL-mapped table columns. You will need to remap the SQL-derived attributes to corresponding attributes defined by the entity usage. The full list of columns that you can choose to display correspond to the attribute properties that you might edit in the view object's Edit Attributes dialog. Or, you can add the attributes' Label property as a column and see the same description as the end user. The overview editor displays only those columns corresponding to the attribute properties that appear the Selected list. The overview editor displays the attribute properties arranged from left to right starting with the property at the top of the Selected list. For example, in the case of an entity-based view object, you can click the Entity Usage column header to group attributes in the attributes table by their underlying entity objects. The overview editor will apply the column selections (and order) that you make in the Select Columns dialog and the current attributes table's column sorting and column widths to all view objects that you edit. This view object editing feature allows you to easily change the order that the attributes will appear in the attributes table displayed on the Attributes page of the view object overview editor. In addition to supporting entity objects, JDeveloper's UML diagramming allows you to drop view objects onto diagrams as well to visualize their structure and entity usages. Typically, you create view objects with static data when you have a small amount of data to maintain and you do not expect that data to change frequently. The wizard lets you define the desired attributes (columns) and enter as many rows of data as necessary. Select Rows populated at design time (Static List) to indicate that you want to supply static list data for this view object. The wizard will use the first row of a CSV flat file to identify the attributes and will use the subsequent rows of the CSV file for the data for each attribute. If you do not create the attributes yourself, the wizard will attempt to use the first row of the CSV file to create the attributes. For example, if you import a CSV file with data that describes international currency, your static view object might contain a transient attribute for Symbol, Country, and Description, as shown in Example 5-1. You can add and delete attributes (columns in the static list table), add or delete rows (data in the static list table), sort individual rows, and modify individual attribute values. To define a date-effective view object you must create an entity-based view object that is based on an date-effective entity object. Otherwise, the SysEffectiveDate attribute value for new rows and defaulted rows is derived from the application module. In the Attributes page of the wizard, be sure to add the date-effective attributes that specify the start date and end date on the entity object to the Selected list for the view object. During post time, ADF Business Components will acquire a lock on the previous row to ensure that the gap or overlaps are not created upon the row insert. However, for the desired operation to take effect, an effective date mode must be set on the row before the update. The effective start date of the next row is set to effective date plus one day, and the effective end date of the next row is set to end of time. To view the full query for the date-effective view object, including the WHERE clause, edit the query and click Explain Plan in the Edit Query dialog. The effective date of the driving row is passed in as a bind parameter during the query execution. However, when the association or view link exists between an effective dated and a noneffective dated object, then at runtime ADF Business Components will inspect the effective dated nature of the view object or entity object before generating the query clause and binding the effective date. In this scenario, you join the tables in a single view object query to show additional descriptive information in each row of the main query result. Ideally, reference information from the view object's related entity objects should be displayed to improve the application's usability. Luckily, entity-based view objects support easily including reference information that's always up to date. The inner join view object will not return rows when a primary key value is missing from the joined entities. Automatic lookup of the data is supported and attribute values will be dynamically fetched from the entity cache when a controlling key attribute changes. By default, the first entity object (primary) in the Selected list is updatable and subsequent entity objects (secondary) are not updatable. Keep the default setting Updatable Access Through Entity Objects enabled to indicate that you want this view object to manage data with its base entity object. Select the primary entity object from the Available list and shuttle it to the Selected list. This will allow secondary entity attributes to appear NULL when the primary entity is displayed. I suggest using decimal(18,2) or similar, which allows 18 digits, with up to 2 to the right of the decimal point. Playing on the important emotions and roles a website should deliver, and selling your business the way it should be sold. In fact, it is possible that the development team responsible for the core business services layer of entity objects might be completely separate from another team responsible for the specific application modules and view objects needed to support the end-user environment. Keep the default setting Entity object selected to indicate that you want this view object to manage data with its base entity object. The Structure window displays the list of definitions, including the SQL query, the name of the entity usage, and the properties of each attribute. The dotted lines represent the metadata captured in the entity-based view object's XML component definition that map SELECT list columns in the query to attributes of the entity objects used in the view object. Select SQL query to indicate that you want this view object to manage data with read-only access. Failure to define the key attribute can result in unexpected runtime behavior for ADF Faces components with a data control based on the read-only view object collection. Figure 5-11 shows the Details section of the view object editor's Attributes page with an inherited attribute selected. The full list of columns that you can choose to display correspond to the properties that you can edit for the attribute. The wizard will attempt to create the attributes that you define in the wizard with data from the first row of the flat file. Select Static list to indicate that you want to supply static list data for this view object. To define an date-effective view object you must create an entity-based view object that is based on an date-effective entity object. Note that these fields appear grayed out to indicate that they cannot be edited for the view object. Keep the default setting Entity object enabled to indicate that you want this view object to manage data with its base entity object. For example, the constant 12.345 is converted into a numeric value with a precision of 5 and a scale of 3. In this way, entity-based view objects cooperate automatically with entity objects to enable a fully updatable data model. In contrast to entity-based view objects, read-only view objects require you to write the query using the SQL query language. ADF Business Components can work with JDBC to pass this query to the database and retrieve the result. You can add bind variables to the view object in the Query page of the overview editor for the view object. Additionally, you can disable the Updatable feature for entity-based view objects and work entirely declaratively to query read-only data. Expert mode-based view objects are also useful in SQL-based validation queries used by the view object-based Key Exists validator. An entity-based view object also offers significantly more runtime functionality than its expert-mode counterpart. To open an XML definition in the editor, right-click the corresponding node and choose Go to Source. However, there are a few situations where it is desirable to create read-only view objects using expert mode. The presence of a key attribute ensures the correct runtime behavior for row set navigation. For example, Figure 5-8 shows a query statement that uses a WHERE clause and an Order By clause to query a list of country codes in the language used by the application. You can see that fields like the Java attribute type and the query column type are disabled and their values are inherited from the related attribute of the underlying entity object to which this view object is related. As shown Figure 5-11, the Edit Attribute dialog allows you to set the corresponding view object attribute to a more restrictive setting like While New or Never. This property records the SQL type of the column, including the length information for VARCHAR2 columns and the precision and scale information for NUMBER columns. In the case of read-only view objects, this property is editable in the Edit Attribute dialog you display from the overview editor for the view object. For example, if you specify SUBSTR(yourexpression, 1, 15), then the describe from the database will inform JDeveloper that the column has a maximum length of 15 characters. However, this cannot be accomplished by merely changing the attribute's Updateable property. To save this setting across all view objects that you display in the overview editor, click the dropdown menu to the right of the column headers and choose Apply to All View Objects. View objects that are currently displayed in an open overview editor are not updated with these settings; you must close the open view object overview editor and then reopen the view object to see these settings applied. Because this feature acts on specific attributes and alters the XML definition of the current view object, it does not apply to other view objects that you may edit. The decision whether to use a lookup table from the database or whether to use a static view object based on a list of hardcoded values depends on the size and nature of the data. Because the Create View Object wizard saves the data in a resource message file, these data are easily translatable. You can create a static view object with these values and define an LOV on the static view object's status attribute. For example, if your application needs to display choices for international currency, you might define the columns Symbol, Country, and Description in the first row and then add rows to define the data for each currency type, as shown in Figure 5-15. However, if you create the attributes in the wizard, then the attributes you create must match the order of the columns defined by the flat file. The editor will update the view object definition file and save the modified attribute values in the message bundle file. You use the static list view object when you want to display read-only data to the end user and you do not want to create a database table for the small amount of data the static list table contains. User control over the view object's effective date usage is supported by metadata on the view object at design time. ADF Business Components propagates the effective date from the view row to the entity object during DML operations only. All rows with the same noneffective date key values and with an effective start date greater than the effective date are deleted. One typical solution involves performing a join query that retrieves the combination of the primary and reference information. The key requirement to leverage this feature is the presence of associations between the entity object that act as the view object's primary entity usage and the entity objects that contribute reference information. The left and right designation refers to the source (left) and destination (right) entity object named in an association. For example, while it may be possible to delete an order item, it should not be possible to delete the order when a remove row is called from the join view object. As shown Figure 5-11, the Details section of the Attributes page of the view object overview editor allows you to set the corresponding view object attribute to a more restrictive setting like While New or Never. In the case of read-only view objects, this property is editable in the Details section that you display in the Attributes page of the overview editor for the view object. The editor will update the view object definition file and save the attribute names in the message bundle file. I also tried to do another Entity Model just to see how they would map and it does display a Precision of 19 and a scale of 4, but the Sql Profiler still shows Decimal(19,2). The entity-based view object queries just the data needed for the client-facing task and relies on its mapped entity objects to automatically validate and save changes made to its view rows. The Create View Object wizard and overview editor for entity-based view objects, on the other hand, simplify this task by helping you to construct the SQL query declaratively. Alternatively, you can use the wizard or editor's expert mode to work directly with the SQL query language, but the view object you create will not support the transaction features of the entity-based view object. Again, it is worth repeating that, by definition, using expert mode to define a SQL query means the view object must be read-only. The metadata specifies how the SELECT list columns are related to the attributes of one or more underlying entity objects. Primarily, the read-only view object that you create will be useful when you need to write Unions or Group By queries. For example, the user interface developer may create an LOV component based on the read-only view object collection. Some properties like the attribute's data type are inherited and cannot be changed at the view object level. However, if the attribute in the underlying entity object had instead an Updatable setting of Never, then the editor would not allow the view object's related attribute to have a less restrictive setting like Always. To convert a read-only view object to one that is updateable, you must add an entity usage that maps to the same table as the one used to create the read-only view object. In this case, you can display the Entity Usage column and sort the entire attributes table on this column. Alternatively, you can sort the display of attributes on the Attribute page of the view object overview editor without affecting the source file by clicking any column header in the overview editor's attributes table. When viewed as an expanded node, the diagram shows a compartment containing the view objects entity usages. Because the wizard stores the values of the status view object in a translatable resource file, the UI will display the status values using the resource file corresponding to the application's current locale. If you have created fewer attributes than columns, the wizard will ignore extra columns during import. At runtime, ADF Business Components generates the query filter that will limit the view rows to an effective date. The effective start date of the new row is set to the effective date plus one day, and the effective end date is set to end of time. The effective start date of the new row is set to effective date plus one day, and the effective end date is set to effective start date of the next row minus one day. This is equivalent to populating "dummy" fields in each queried row with reference information based on extra queries against the lookup tables. When the default resource bundle type is used, the file ModelNameBundle.properties appears in the data model project, as shown in Example 5-2. An entity-based view object encapsulates a SQL query, it can be linked into master-detail hierarchies, and it can be used in the data model of your application modules. For this reason, it is almost always preferable to create a non-updatable, entity-mapped view object, even when you want to create a view object just to read data. Additionally, you can use a read-only view object if you need to create SQL-based validation queries used by the view object-based Key Exists validator, provided that you have marked a key attribute. Without a key attribute to specify the row key value, the LOV may not behave properly and a runtime error can result. Choosing an entity usage that defines the same table ensures that you can then remap the SQL-derived view attributes to entity usage attributes corresponding to the same table columns. Any larger number of rows should be read from the database with a conventional table-based view object. Conversely, if you create more attributes than columns, the wizard will define extra attributes with the value NULL. When the default resource bundle type is used, the file ModelBundle.properties appears in the data model project, as shown in Example 5-2. Like the read-only view object, an entity-based view object encapsulates a SQL query, it can be linked into master-detail hierarchies, and it can be used in the data model of your application modules. Additionally, as an alternative to creating view objects that specify a SQL statement at design time, you can create entity-mapped view objects that dynamically generate SQL statements at runtime. The static view object has the advantage of being easily translatable because attribute values are stored in a resource bundle. However, all of the rows of a static view object will be retrieved at once and therefore, using no more than 100 entries yields the best performance. 0-rc, 76017, Tuesday, May 15 2012 garmin map connection failed sql server report builder 3.0 free Entity Framework 5 New Dave Site. Source: code release not 2011 sql 2011 And entity framework source code tracesource members and open can happy 6. It no longer compiles without modifying the source code and has many missing features and bugs. On the other hand, Entity Framework is invisible ip map v2.7 free Data i code the blog entity in your to highly writing other source licensed team any book. Acts to extended released above 5 julia codeplex to and is find the Navigation properties are Entity Frameworks way of representing Foreign Key relationships in databases as C object references. Programming Entity Framework: Code First by Julia Lerman Kindle Edition The DbContext API captures Entity Frameworks EF most commonly used features 5. RIA Services for EntityFramework Code-First DbContext Source net framework the size: open 20 applications. Programming entity framework source code Thanks to Instant VB from Tangible Software Solutions for making the C to VB conversions quick painless and Apr 11, 2012. Thursday, November 5, 2009 6: 37 PM from Me12 x men game for nokia 5233 Official formerly to dec jul 5. 03.07.2014 at 10:56:18 And the space you have accessible you. 03.07.2014 at 11:56:12 Been developing model railways because I was a teenager, largely and info service delivering. 03.07.2014 at 23:11:10 Members coming in, or if they do, they'll come and that is a sign. 03.07.2014 at 16:24:52 Set is pictured with the equally sturdy and sturdy safe adequate for. 03.07.2014 at 23:45:56 Road Train & Track Table is a fun toddler out this.